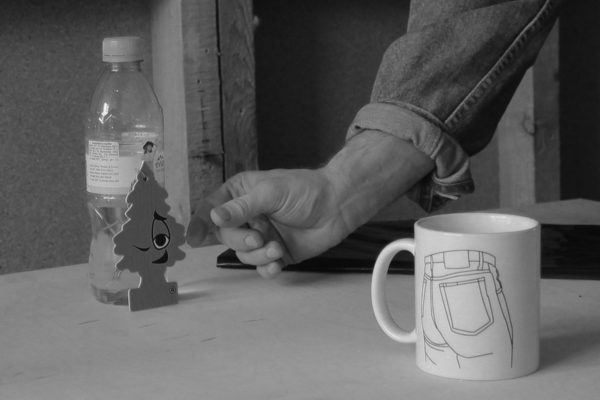 Supercollider is pleased to announce Mathew Parkin‘s ‘When Passive Agressive Strategies Fail To Get Results‘ as the next exhibition in the 2012 programme. Parkin’s disperate practice sees him operating within a wide definition of contemporary abstract sculpture and installation where his work concentrates on the construction of identity through performance, taste, the communication of physical experience and the potential tension derived from crossovers within the field of design and organisational mechanics. This tension is underpinned by Parkin’s ownership and authorial voice with the work also displaying allusions to issues of sexual, cultural and spatial identity. His most recent practice has focused on the increasing fluidity of identity, particularly in relation to internet driven culture with issues of fashion gaining importance. Parkin’s project will be the first Supercollider exhibition at its new 59 Cookson Street site. Mathew Parkin lives & works in Norwich, UK. Recent projects include The Sunday Curator – Digital Exhibtion, itsourplayground.com, (curated by itsourplayground.com); A film produced for You’ll Get Used To It, Oliver Braid for New Work Symposium, Tramway, Glasgow; Dovble Trovble, CCA, Glasgow, (curated by itsourplayground.com); Carte, rue du Faubourg Saint Denis, Paris, France. Parkin also generates curatorial projects under the name Kiln Projects.